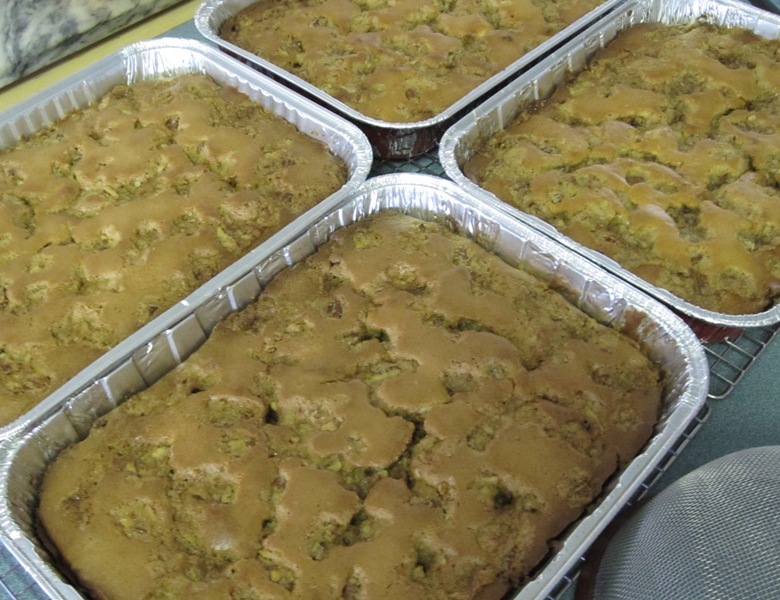 Sourcream Coffee Cake | Rosetta Bakes! 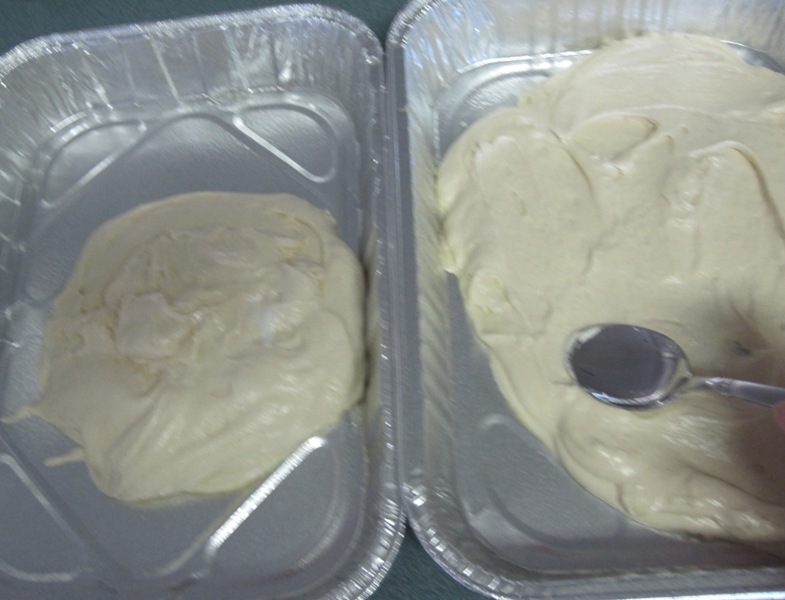 Sift flour with baking powder, baking soda and salt and set aside. 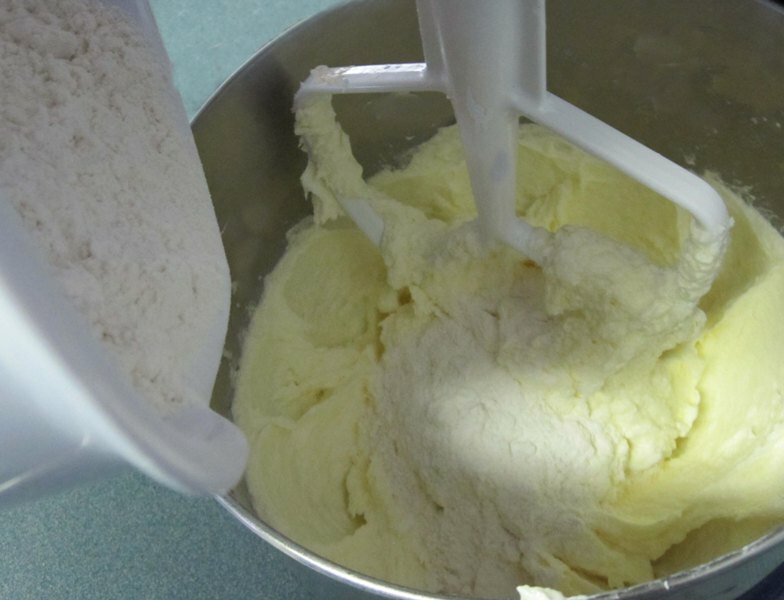 Cream butter, add sugar and cream well. Add eggs one at at time and beat well after each addition. 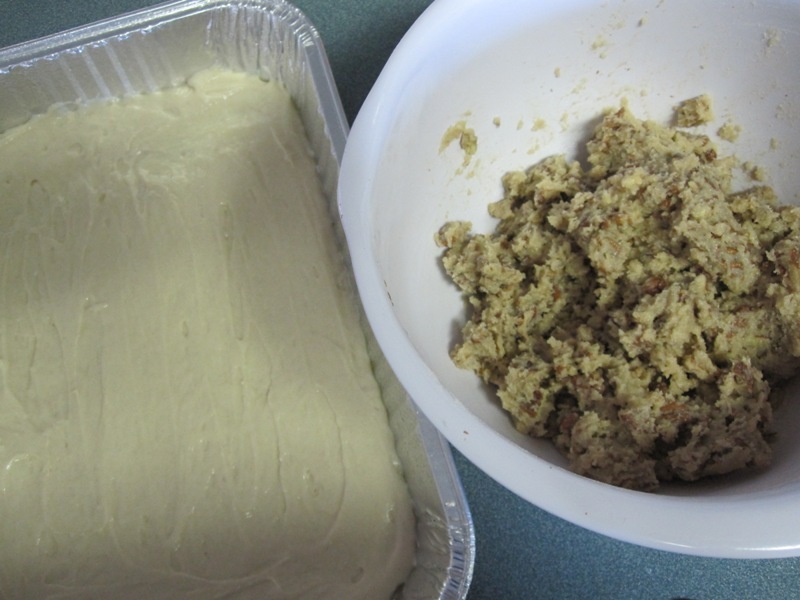 Add 1/2 of the flour﻿ mixture to creamed mixture. 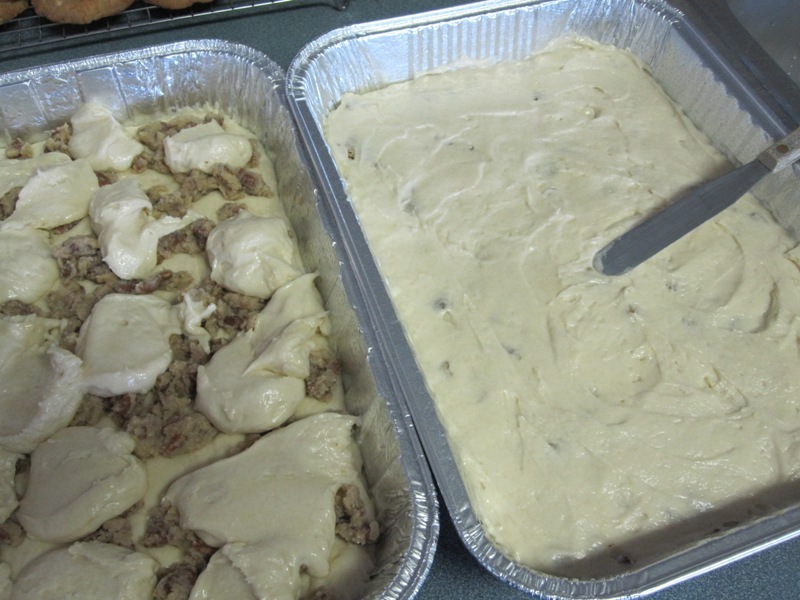 Stir in 1/2 of sour cream, then remaining flour, then add the rest of the remaining sour cream. 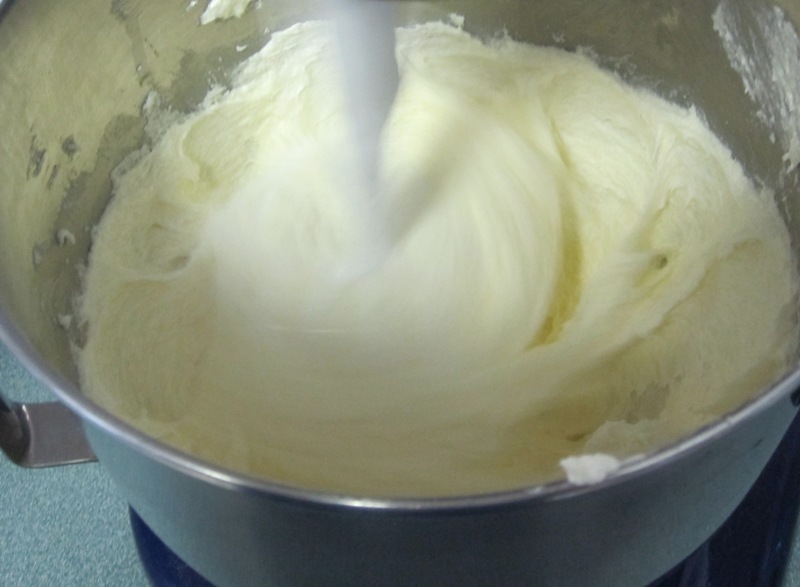 Pour 1/2 of batter into a greased 13 x 10 x 2 inch pan. 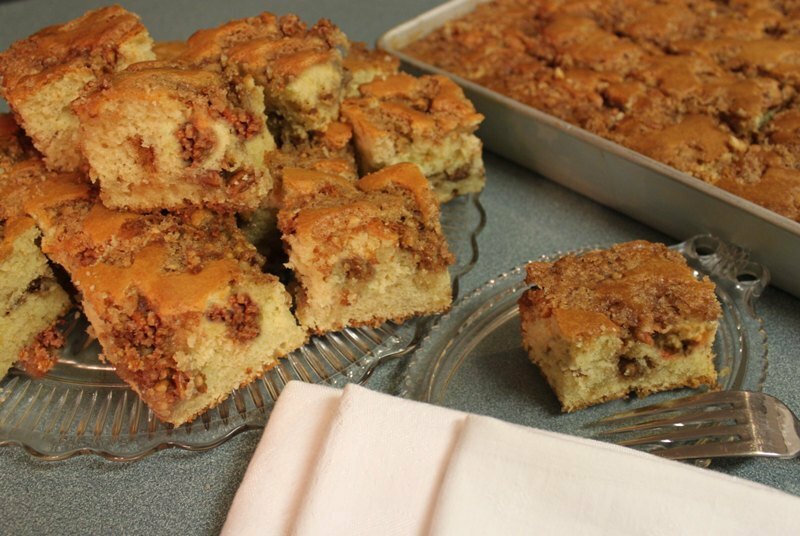 Sprinkle with 1/2 cups of brown sugar and nut topping, (see recipe below). 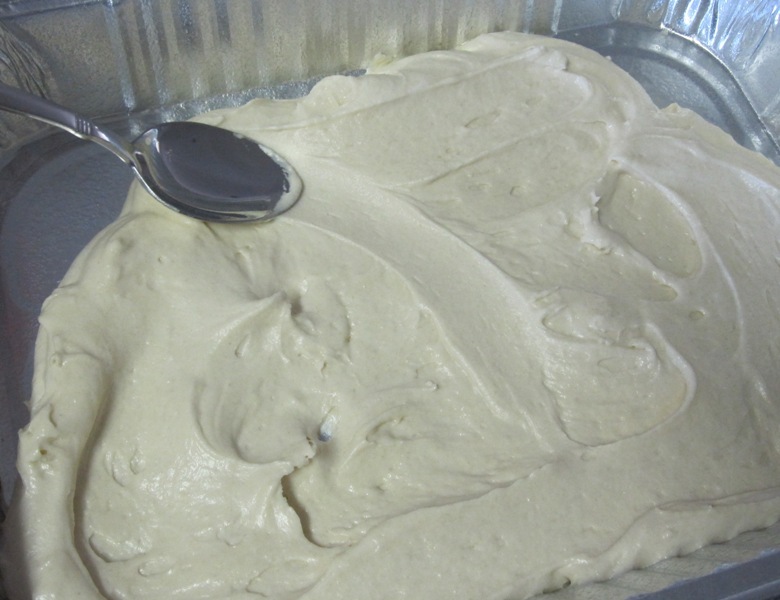 Pour rest of cake batter on top of brown sugar and smooth out to edges. 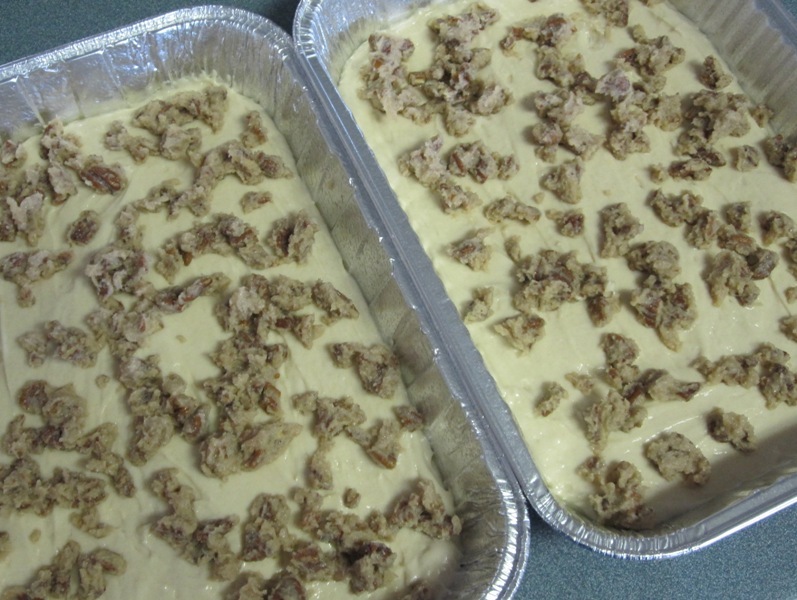 Sprinkle the other 1/2 of brown sugar and nut topping on top of cake. Bake 350 for 30-40 minutes. 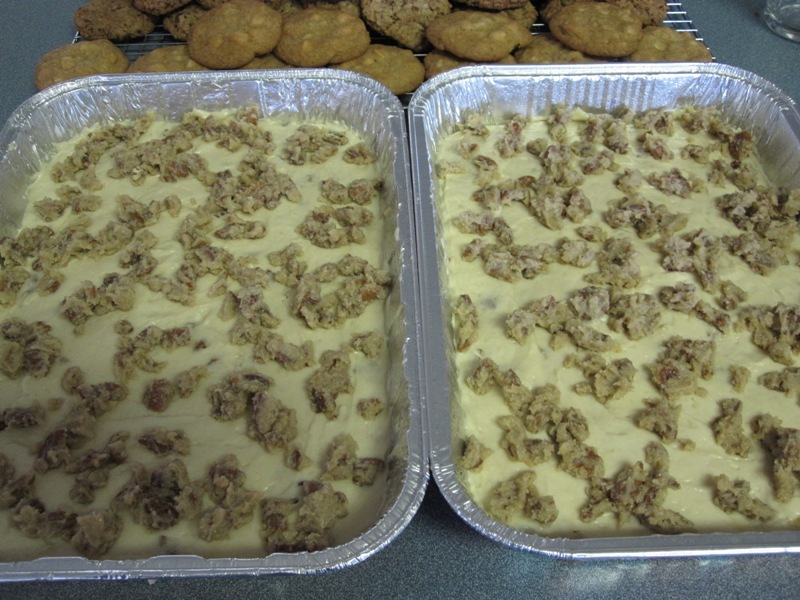 (sprinkle topping between layer of cake and on top of cake).